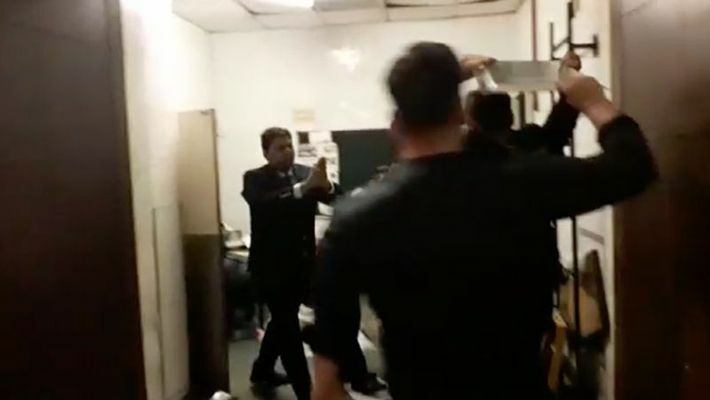 New Delhi: Angry guests smashed cutlery at a wedding ceremony in New Delhi as the quality of food served by the hotel was not up to their liking. Hotel property too was damaged in the incident. In the luxurious Piccadily Hotel located in Janakpuri's Centre Complex, the guests chose to make their resentment, for having served ‘poor’ quality food, through violent means instead of lodging a complaint with the hotel authorities. Some of the fuming guests broke the cutlery, created a huge ruckus and even, allegedly, assaulted staff members. The guests from both the bride’s family who came from Vikaspuri and the groom's family who came from Uttam Nagar for the ceremony were involved in the unruly act. According to reports, many of the guests have been arrested as well and have been charged with disturbing public peace, damaging hotel property and assaulting the hotel staff.